The growing trend over the last several years among a section of Tibetan youngsters to legally assert their Indian citizenship has given rise to both difficulties and issues within the community for its supposed effect of diluting the freedom struggle. Prof Richa Kumar* carried out a field study of the development and presents her findings in this article. Recently in the month of December, 2010 a twenty-five-year old daughter of refugee parents won the right to citizenship by filing a case in a court of law in India against the government’s rejection of her application for an Indian passport. In this context the present article is a blend of both primary and secondary sources. In view of the qualitative nature of the research issues, the data were obtained by using methods such as personal interview, narratives by stratified sampling and snow ball sampling techniques. The data has been collected from Delhi, Chandigarh, Mohali. This article explores how changing the Tibetan nationality in order to get a secure life is becoming an intensive debate among Tibetan refugees living in exile as refugees. The finding of my study reveals that the Tibetans living in India stand divided amongst the two lots – those who do not want citizenship, and those who want it. Further the Tibetan refugees clearly appear to be divided on the prospect of going back and living in Tibet under the suzerainty of China. After the post-independence era, the influx of “refugees/displaced persons” from various neighbouring countries has been India’s scourge and challenge. This “refugee” phenomenon is one of the most worrying and growing problems being faced by almost all the developed and developing countries of the world. India too has been at the receiving end of this gigantic problem. India was partitioned into two nations: India and Pakistan. Pakistan comprised West Pakistan and East Pakistan. Immediately after the partition about 7.5 Million tortured, hapless, and defenceless people (mostly Hindus and Sikhs, and very few Muslims) fled West Pakistan and became refugees in the newly created India. About 3.5 million refugees, mostly Hindus, came to India as refugees from the then East Pakistan. All these refugees were duly offered Indian citizenship as per the terms of the partition. Later on in 1971, there was a violent and bloody rebellion in East Pakistan between the local people and the despotic rulers of West Pakistan. About 10 million people fled East Pakistan (which later became Bangladesh in 1971). Most of these refugees returned to Bangladesh after the liberation of their country from Pakistan. After the gigantic influx of refugees as a result of the partition, there came many refugees from Tibet who fled their country to escape persecution from their Chinese oppressors. In the year 1959 there was an uprising in Tibet against the authoritarian and despotic Chinese rulers, and the 14th Dalai Lama (the highly noble and revered religious head of Tibetans) fled Tibet with approximately 50,000 followers of his, and all of them became refugees in India. After 1959, many more refugees came from Tibet, and it is estimated that there are about 1,50,000 Tibetan refugees residing in India, Nepal and Bhutan. Later on refugees came in the shape of Chakmas of Bangladesh, Afghans out of civil strife among warring groups in Afghanistan and Sri Lankans owing to crisis about Tamil identity. Since 1947, India has given shelter to more than 2,24,500 refugees. This does not take into consideration the refugees who came from West Pakistan and East Pakistan after 1947. For these 2.24 lakh refugees, India has no legal frameworks for granting the entry status as refugees. In fact, India has not signed the Geneva (1951) Convention regarding the status of refugees, and India has also not signed the 1967 protocol of the UN. At present, Tibetan refugees form the largest refugee community living in India, and they receive more rights as compared to all other refugees residing in India. Tibetan presence in India is not a recent phenomenon. McConell notes: “The history of Tibetan presence in India is long and complex, including fluid territorial borders, historic religious exchanges, and seasonal trading.” Apart from these dealings, the 1959 Tibetan uprising against the presence of the People’s Republic of China in Tibet and the failure of the armed rebellion waged by the people of Tibet ultimately resulted in a very oppressive and violent crackdown on the Tibetan independence movement, and this ultimately resulted in the fleeing of the 14th Dalai Lama and his followers into exile. The Tibetans who fled their homeland to escape persecution and violence had to undergo a gruelling phase of transition when they came to India to become refugees. Apart from facing the challenges of settling down in not-so-familiar Indian environs and alien religious and social set-up, the Tibetan refugees struggled to put their lives back on the track. This was also because of the fact that they migrated from a very cold and mountainous region. The Government of India became engrossed in such urgent tasks as the rehabilitation of the Tibetan refugees, the education of their children, and finally the preservation of Tibetan culture and identity (Anand 2000; Basu 2008). The Indian Government’s main focus was on creating separate settlements for them and separate schools for the refugee children. In the year 1960, after settling in India, the Dalai Lama re-established his Government in exile. This administrative body is the sole institution in exile for bringing the Tibetan diaspora under one umbrella (Ann 2007; McConnell 2009; Swamy 2010). Nehru, the then Prime Minister of India, was personally approached by the Dalai Lama for his assistance with regard to a more permanent rehabilitation of the refugees. Today, the Tibetan diaspora numbers approximate 1,28,000 with 74% residing in self-contained settlements and scattered communities across India. Sheffar states that “some groups of migrants and members of incipient diaspora maintain close ties with their homelands because these refugees are accompanied by their spiritual and social leaders whenever they migrate to any country for refuge. These spiritual leaders serve to import and consolidate homeland cultural, organizational and behavioural patterns in the host countries or the countries where they become refugees.” Even Felcone and Wangchuk have observed that for many Tibetans, India is a “home away from home.” To this day, India studiously avoids referring to the Dalai Lama as a refugee; it refers to him as an “honoured guest.” (Maynihan 2012). Incidentally, Tibetan Buddhism has come to be appreciated the world over for its emphasis on values of tolerance and compassion (Thupten 2009). Ever since the advent of their diaspora, India has been a place of refuge for Tibetans, and they have been able to live in the country without any persecution and discomfort. They are able to provide their children both traditional and modern education while their adult members work towards a possible resolution of the Tibetan issue at the same time (Ngawang 1998). But there is contrast in the status of the Tibetans living here. On the one hand there are those who feel that they are recipients of a generous and receptive Indian state policy that helps them in their settlement, contributes economically to their well-being, and finances their education. On the other hand there are individual Tibetans who express feelings of insecurity with regard to their legal status vis-a-vis the Indian state and with respect to their position in Indian society (Maynihan 2012; McConnell 2011). Recently in the month of December, 2010 a twenty-five-year old daughter of Tibetan refugee parents won the right to citizenship by filing a case in a court of law in India against the government’s rejection of her application for an Indian passport. This Tibetan girl, Namgyal Dolkar, was born in 1986, just a few months before the citizenship act was amended in response to the immigration from Bangladesh. This step taken by her was unlike the stance of many Tibetans who seldom apply for Indian citizenship because they consider this act as a betrayal of the cause of the freedom of their beloved homeland or because Indian citizenship would render them ineligible for getting political asylum in Western countries. Dolkar asserted her right to be treated as an Indian citizen on account of her birth in India. In court, her claim was contested by the government on the ground that she already had an Identity Certificate, the travel document issued to Tibetan refugees by the government of India. The government of India pleaded that the petitioner Dolkar had stated ‘Tibetan’ as her nationality. The government further stated that it clearly meant that she could not be an Indian citizen. However, the High Court of Delhi ruled in her favour by upholding her right to Indian citizenship (Namgyal Dolkar Lhagyari Vs Ministry of External Affairs 2010). This judgment has been celebrated by some as recognizing the identity of “stateless” Tibetans. It earmarked conditions under which citizenship can be claimed by a person whose parents had come to the country as a refugee. But the High Court’s ruling has complicated the landscape of the Tibetan identity and citizenship. Apart from it, there will be potential impact on the future of Tibet among many people, particularly refugees from Tibet. However, changing the Tibetan nationality in order to get a secure life is becoming an intensive debate among Tibetans living in exile as refugees. Additionally, after this judgment about the right of citizenship for India-born Tibetans, many other Tibetan refugees who were born in India became eligible for Indian citizenship. However, many Tibetans want to retain their Tibetan nationality/identity, which they think is their birthright. Nevertheless, without Indian citizenship, Tibetans are excluded from the political and social-benefit processes, including jobs and social benefits. They are not eligible to vote in parliamentary, state, and local elections. Tibetans are also not eligible to hold government jobs, own property and reside freely in India (IRBC: 2009). There is no attempt to make them Indian citizens. They may, of course, if they fulfil the qualifications, become Indian citizens, but the main object is to treat them as Tibetans with Tibetan language, Tibetan culture, Tibetan religion etc. In addition, of course, they learn Hindi, and sometimes, maybe, a little English (TPPRC 2006: 162). Becoming an Indian citizen is entirely an individual choice, but as per Indian laws, the applicant must terminate his or her national identity of the other country in order to become an Indian citizen. The acceptance of Indian citizenship will add a new identity to Tibetans at the cost of their age-old Tibetan identity. It would also amount to compromising the Tibetan people’s ultimate dream of going back to a free Tibet. By embracing Indian citizenship Tibetans will inevitably lose the moral and political ground for fighting for their homeland. Therefore, terminating Tibetan citizenship not only signifies losing hope to return to homeland but also indicates the loss of one’s national identity. But, the Charter of the Central Tibetan Administration has a provision for “dual citizenship”, that is, Tibetan refugees can take citizenship of a foreign country and still retain their status as a Tibetan citizen/national as long as they retain their affiliation with the CTA by maintaining the validity of their Green Book. Nevertheless stateless status strengthens the Tibetan diasporic community and encourages Tibetan nationalism. On the other hand, living in exile as a foreigner/refugee certainly poses an array of issues related to curtailed freedom, inequality and rightlessness. Generally speaking the Tibetan refugees residing in India have not taken up Indian citizenship, and the presumption or view is that they have retained their ‘refugee’ status as a sign of their loyalty towards the cause of Tibet. In India the old Tibetan diaspora refugees and immigrants of sixties and seventies, who came from Tibet, have direct and personal connections with the land of their birth and their families still living there. However, the refugee population now encompasses Tibetans who were born and raised in various parts of India, who have received their education in different Tibetan and Indian schools, and who never knew life in Tibet. From the narratives of their parents and the older generation, they have very fond memories of Tibet and the experiences in exile of their elders. Additionally, refugees who have parents, friends, and family within the borders of Tibet have greater emotional, moral and personal impetus regarding returning to their families and friends. They hope for improvement in the situation in Tibet and improvement in the cause of Tibet in general (Anand 2000; Nowak 1984). The acceptance of citizenship in India will add a new identity to us at the cost of our age-old Tibetan identity. We would never want that to happen. It would also amount to compromising our ultimate dream of going back to a free Tibet. By embracing Indian citizenship, we will inevitably lose the moral and political ground for fighting for our homeland. We have taken temporary refuge in India because of the atrocities committed against us back in Tibet. We are not here forever, nor do we want to. We are yearning to go back, and hopefully, we will go back one day. The above quoted observation underpins the general perception cutting across different sections of the Tibetan refugee community in India. Like the Palestine issue, the Tibetan issue too has defied any democratic solution thus far, pushing these people into the vortex of uncertainty and hopelessness. But there are some Tibetans who think citizenship or voting right means a lot for this community. It gives them the right to own land and travel freely. Harsh penalties, including incidents of arrest, for the mere failure to renew these documents will come to an end. 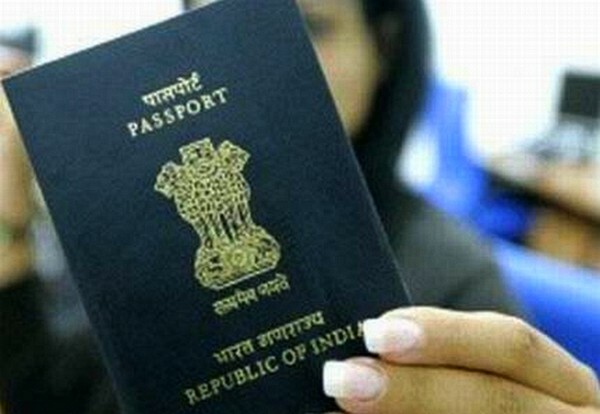 Even the scope of employment opportunities for Tibetans in India will be enhanced once they acquire Indian citizenship. One of the respondents argues, “It is our right to take Indian citizenship.” He even emphasised that is a matter of dignity and in terms of having value as a human being. The above observation underpins the fact that even the laws of India consider it a right of Tibetans to acquire Indian citizenship if they were born in India. What emerges clearly from the findings of this study is the widespread prevalence of strong determination among the Tibetans to regain their lost homeland. While they continue to express their gratitude to the Indian government for providing them continuing shelter and the much needed conducive atmosphere to live in, they remain determined not to get assimilated in India as Indian citizens, but to go back to their homeland one day so that they can live there as proud Tibetan nationals. The Tibetan refugees clearly appear to be divided on the prospect of going back and living in Tibet under the sovereignty of China. The division is most sharply reflected between the older and younger generations, while some younger people too are not averse to the idea. Let me mention here at the very outset that almost all the respondents expressed their reluctance and unwillingness to be quoted on this issue. I, therefore, would not be divulging their identities here as it would go against the ethics of social science research. Most of the older interviewees do not wish to go against their spiritual and temporal leader, the Dalai Lama, and would rather be happy if China were to acknowledge and accept his ‘Middle Path’ approach by conceding genuine autonomy for Tibet. For them, as for the Dalai Lama himself, this alone appears to be the most viable option given the strident and recalcitrant attitude of the communist Chinese government over the status of Tibet. Most of them believe that if they are indeed granted genuine autonomy within Tibet, they would use it as a first step in their ultimate goal of gaining freedom from China. Such an understanding is based on the assumption that it would at least put an end to the unusually long political deadlock on the issue, and might even open new avenues for continuing their fight for a free Tibet. What is noteworthy here is the fact that even the older generation does not seem to be giving up on their historical claim over Tibet. Rather, they clearly appear to be wary of fighting a ‘lost battle’ under the given circumstances. The understanding of political realities from the perspective of the younger Tibetans, on the other hand, appears to be diametrically opposite. They are strongly opposed to the idea of going back to Tibet to live under the Chinese rule. Such a move, they believe, would not only lead to a series of problems for the community members, but also amount to sacrificing the cause of a free Tibet. Significantly, the perception of the Tibetan youth spring from a deeper understanding of the history of Sino-Tibet relationship, and China’s strategic stakes in Tibet: Tibet’s rich and abundant natural hydro resources, and Tibet as a buffer zone between China and neighbouring India and Pakistan. Recalling the history of the policy of demographic change being pursued by China in Tibet, the younger Tibetans express concern that Tibetans will be eventually reduced to a pathetic minority in their home. The pursuit of such a policy by China clearly illustrates their long-term design about Tibet, ie, to establish complete dominance of the Han Chinese population in Tibet in all walks of life so that Tibetans would then cease to matter as a distinct ethnic and cultural group. It is against such a backdrop that the Tibetan youth living in exile in India flatly reject the possibility of living within China as Tibetans. Moreover, they also express the apprehension that if at all they go to Tibet and find their fears coming true, they would not have the option of coming back to India any more. As aptly observed by Chandigarh-based College-going Lhobsang, “India gave us asylum in times of our crisis. If we now choose to go back to Tibet and decide to return back after some time, India may legitimately deny us shelter once again on the ground that we are not sure as to what we wish for ourselves. It’s then that our real problems would begin, and we would not know where to look”. Other kinds of doubts are also nurtured by the younger Tibetans in the event they go to Tibet to live under Chinese rule. For example, there is a widespread fear amongst them that they would not be free to live as Tibetans in Tibet, unlike in India. Even the Dalai Lama, let alone the ordinary Tibetans, would no longer be free to travel around the world, for he would be invariably accompanied by Chinese agents, resulting in severe curtailment of his freedom to speak freely for the Tibetan cause. An overwhelming number of Tibetans believe that the Dalai Lama has been instrumental in raising and shaping global public opinion in favour of Tibet all because he is relatively free to move around the world from India. As Gelek, the former President of Regional Tibetan Youth Congress, Chandigarh, observed, “If we choose to go to China-controlled Tibet we will never be able to speak freely. All our freedom will be taken away from us one by one, and I am afraid, if at all, we will even be disallowed by China to call ourselves Tibetans. This only shows that our fellow brothers, who believe that it is possible to go to Tibet and continue with the resistance movement from there, are politically naïve”. Accepting Chinese sovereignty over Tibet would amount to a virtual surrender of legitimate and historic claim over Tibet with the consequence that Tibet will never be able to represent itself in any international organisation, nor will it be possible to control and regulate foreign investment in Tibet, as it will then be directly controlled by China. Tibetans face uncertainty regarding their future in Tibet as well as in India. The future of those who are living in Tibet too is uncertain. Tibetans living in India stand divided between those who do not want citizenship and those who want it. India also has to deal with the issue regarding permitting the progress of the freedom struggle whose battle is being waged by the Tibetan refugees in India within territory of India. Besides, it is still not possible for Tibetans to obtain citizenship in India as a matter of routine, although they do have a legal ground to claim it. Nevertheless, acquiring it is a difficult task for the Tibetan diaspora. They have to manoeuvre and overcome the bureaucratic messiness and arbitrariness to the point where many of them are forced to re-think about obtaining their citizenship. http://www.criterion-quarterly.com/pdf/Criterion%20Vol%205%20No%201.pdf accessed on 7th June 2016.
http:// Tibet.net/about-cta/planning-commission/ accessed on 5th August 2016. W.P. 12179/2009, Judgment dated 22 December, 2010, Delhi High Court. Accessed on 10 october 2015. To give a brief historical perspective on the collective decision to remain stateless from the early years of exile, in 1974 the royal government of Bhutan gave an ultimatum to around 4,000 Tibetan refugees to either become Bhutanese citizens or be deported back to Tibet under China The majority of Tibetans in Bhutan decided to remain stateless and was rehabilitated in India in the early 1980s. Interview at Chandigarh on 18th February 2015. Frechette, A. (2002). Tibetans in Nepal: The dynamics of international assistance among a community in exile, New York: Berghahn Books. ………………… (2006). Constructing the state in the Tibetan Diaspora, New York: Routledge. Goldstein, Melvyn (2007). A History of Modern Tibet, Volume 2, The Calm before the Storm: 1951-1955, Berkeley: University of California Press. Hess, Meredith Julia (2009). Immigrant Ambassadors: Citizenship and Belonging in the Tibetan Diaspora, Stanford, California: Stanford University Press. Jiawei Wang, Nyima Gyaincain (eds) (1997). The historical status of China’s Tibet, Beijing: China Intercontinental Press. Kharat, R. (2003). Gainers of a stalemate: The Tibetans in India. In R. Samaddar (Ed. ), Refugees and the state: Practices of asylum and care in India 1947-2000, New Delhi: Sage. Lama, Dalai (2002). Freedom in Exile: The Autobiography of the Dalai Lama, London: Abacus. Oberoi, Pai (2006). Exile and Belonging: Refugees and State Policy in South Asia, Oxford University Press, New Delhi. Robert II, B. John and Elizabeth A. Roberts (2009). Freeing Tibet – 50 year of Struggle, Resilience and Hope, Amacom. Sheffer, Gabriel (2003). Diaspora Politics: At Home Abroad, Cambridge University Press. Shakabpa, W.D. (1984). Tibet: A Political History, New York: Potala Publications. Shakya, Tsering (1999). The Dragon in the Land of Snows: A History of Modern Tibet Since 1947, London: Pimlico. Singh, Deepak K. (2010). Stateless in South Asia: The Chakmas between Bangladesh and India, Sage Publication. Smith, W.S. (1996). Tibetan Nation: A History of Tibetan Nationalism and Sino-Tibetan Relation, Westview Press. Smith, W. Warren (2008). China’s Tibet: Autonomy Or Assimilation, Rowman & Littlefield. Sperling, Elliot (2004). The Tibet-China Conflict: History and Polemics, East-West Centre: Washington. Subba, T. B. (1990). Flight and adaptation: Tibetan refugees in the Darjeeling-Sikkim Himalaya, Dharamsala: Library of Tibetan Works and Archives. Coutin, Susan (2003). “Cultural Logics of Belonging and Movement: Transnationalism, Naturalization and U.S. Immigration Politics,” American Ethnologist, 30(4),pp 506-526. Frechette, Ann (2007). “Democracy and Democratization among Tibetans in Exile” The Journal of Asian Studies, 66 (01). Bentz, Anne-Sophie (2012). “Being Tibetan Refugees in India,” Refugee Survey Quarterly (31) pp 88-107. Brubaker, Rogers (2005). “The diaspora,” Ethnic and Racial Studies (28), pp 1-19. Chimni B.S (1994). “The legal conditions of Refugees in India” Journal of Refugees Studies, (7), 4. De Voe, M. Dorsh (1981). “Framing Refugees as Clients,” The International Migration Review (15), pp 88-94. Falcone, Jessica, Tsering Wangchuk (2008). “We’re Not at Home: Tibetan Refugees in India in the Twenty-First Century,” India Review, pp 164-199. Garratt, K. (1997), “Tibetan refugees, asylum seekers, returnees and the refugees convention – predicaments, problems and prospects”, Tibet Journal, XXII (3), pp18-56. Hammersley, M. (2006). “Ethnography: problems and prospects,” Ethnography and Education. 1(1), pp 3-14. Vahali, H. Oberoi (2009). Lives in Exile. Exploring the Inner World of Tibetan Refugees, London: Routledge.